Securing your property against trespassers means ensuring that the entrance to it is impenetrable. Empty homes and unoccupied buildings always remain vulnerable to intruders and thus, security companies have manufactured steel security doors to take care of unattended entrances and easily broken window panes that are always in sight. Padlocks and bolts aren’t always an excellent solution; thus, steel security doors are installed to benefit your property absolutely. Today, an array of contemporary wooden doors can be matched with steel door designs, additionally installing letter boxes, door handles and intricately designed knobs, so as to ensure the function of a domestic door and the security of a residential one. 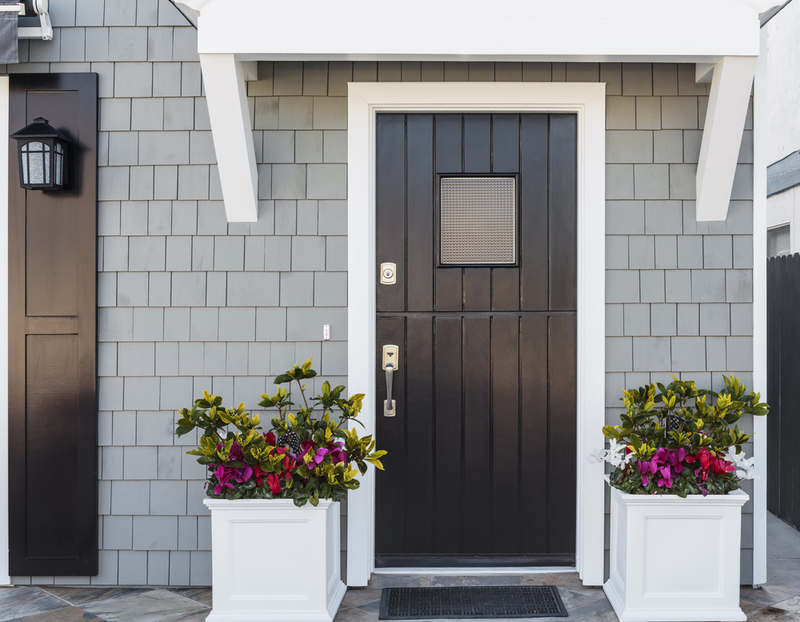 If you are thinking about installing a new steel security door in your home, you might like to consider few tips for the best purchase. Type of door frame material: Choosing the material for your security doors is very crucial. Most security doors are made of steel, aluminum or metal alloy. However, aluminum and metal alloy frames are not as sturdy as steel. Only 2 to 3 inches-wide steel frames allow maximum air flow and visibility than any other material that has to be extended to reach the benefits. Also, if steel security doors are properly powder coated they will show any signs of rusting up to at least 10 years. Door mounting installation method: Before considering other aspects, make sure your steel security door is of the same size as the door you are installing it upon. The installation method ensures how well your property is secured from weather, insects and intruders. There exist two options for installations of steel security doors – flush-mounted installations and tube-frame mounting. Both provide security, although the former installation provides better seal and security because there isn’t any gap around the opening. A tube-frame is mounted on the door trim, instead of the inside opening, which means it will stick out few inches from the door opening thus creating a minute gap between the frame and the door. Multiple benefits and customization: It is important to understand how a steel security door can do more than just keep out trespassers. 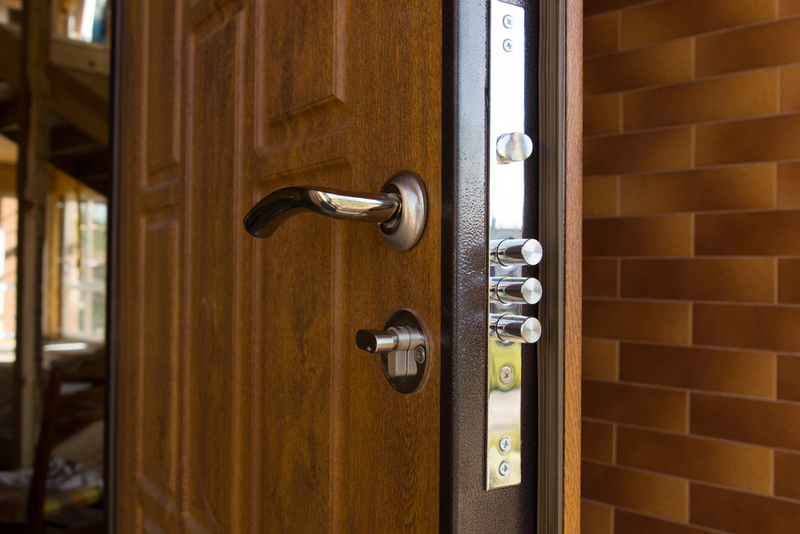 Your security door should also seal out bugs and extreme weather conditions. In many states there are threats from venomous insects and bugs, and heavy gusts of wind and dust, creating a nuisance. Just so to keep away these tiny but dangerous threats, most security installation companies use a peel-and-stick foam tape to create maximum seal around the security doors. Quality security doors come with bug-tight seal made of felt-strips which lasts longer and requires almost no maintenance. Matching keys and mitered corners: The key for the steel security door should match the key for the main door, so as to not bear the hassle of carrying two keys at a time. Other features to look for: Your steel security doors should be able to withstand extreme heat conditions. Paint is not typically heat-resistant, so it does not uphold the door for long. It is advisable to powder coat the security door, since coating withstands heat and prevents the door from rusting. It also creates a protective layer that eventually makes the door harder than conventional paints. Although, do not miss out of coating every part of the security door, in order to ensure the entire door is well-protected. Also, the corners should be mitered, which means the corners of the door-on both the top and bottom should be solid, instead of being made hollow, so as to avoid penetration of water and dust from the corners to the inside. There are a lot of points to be considered before installing a steel security door for your house. So, make sure, you get all your questions answered satisfactorily and do your thorough search before installing one.